Engaging a professionally trained and experienced resume writer can be one of the most rewarding aspects of your job search process. You will learn a great deal about yourself and you’ll have a refreshed vision of your marketability. Selecting the right resume writer will contribute to your trust in the process and in the outcome. Use these questions to vet your resume writer, so that you are certain you are choosing an expert who serves your needs most effectively. 1. What Are Your Credentials for and Experience with Writing Resumes for Job Seekers Like Me? What Are Your Resume Writing Certifications? Most industries have standard credentials that mark professionals as qualified and capable to do their work well. These credentials illustrate that the professional has achieved the minimum standard of excellence in that line of work. Resume writing as an industry also has standards of excellence as well as best practices. One way to evaluate your resume writer is to ask about his or her certifications in resume writing, because a resume writer who is serious about his or her craft will likely have at least one certification to prove commitment and competence. The National Resume Writers’ Association offers the Nationally Certified Resume Writer (NCRW) credential. The NCRW distinction validates that a career professional meets stringent standards for quality. This education-focused credential requires a member to sit for a comprehensive examination process that covers resume strategy, grammar and punctuation, formatting and design, proofreading, cover letter composition, and more. Once certified, NCRWs must continue to advance their knowledge of best practices and trends through ongoing professional development. What Continuing Education Have You Undertaken? As with any profession, those who want to stay on top of their game invest in professional development. Resume writers are no different, because resume-writing trends, approaches to maximizing your resume’s performance within applicant tracking software (ATS) systems, and even requirements for various types of positions frequently change. Although there is no continuing education mandate or certification requirement (or even degree requirement) to write resumes commercially, you will want to know the ways in which your resume writer has professionally prepared to write your resume. Thus, before hiring a resume writer, ask your resume writer how he or she keeps up with best practices in resume writing and career management. Also, ask about industry training completed and industry conferences attended in the last few years, and whether he or she has any additional certifications beyond those for resume writing. The National Resume Writers’ Association and its annual conference are dedicated to training and developing independent writers and to preserving the quality and integrity of the resume-writing service industry. The National Resume Writers’ Association even has an ethics committee that will investigate members who are reported for unethical practices. Do You Have Experience Writing Resumes for My Industry? Resume writers can be industry-specific experts or generalists. They can focus on new graduates, early-career professionals, mid-career professionals, executives, or some combination of all of these. If specific industry knowledge is important to you, then you should ask your resume writer about his or her experience with your industry. Generally speaking, resume writers are experts in learning about your background and industry and writing your resume relative to your unique goals, not just a specific industry, although you will find resume writers who promote themselves as experts in particular industries and job functions. 2. What Is Your Resume Writing Process? How Will You Learn About Me and My Goals? To start, you may wish to look for a resume writer who offers an initial consultation. This will give you a chance to ask questions and get a “feel” for the resume writer. Talk about your needs and ask about the process and what to expect. Many writers use some combination of questionnaires and phone consultations. Some work strictly by email; some work only over the phone. Make sure the writer’s process works for you. Save time by reviewing the writer’s website before your initial call. Most will have a clearly defined process outlined somewhere on the site. A reputable resume writer will happily refer you to another writer if you have conflicting styles—for example, if you prefer to work one-on-one on the phone, but the resume writer uses questionnaires with clients, you and the resume writer both will be better served by a thoughtful referral. Furthermore, ask your resume writer whether the information-gathering process will take place virtually or in person. Resume writing is not location-dependent, and you might find that your ideal resume writer lives and works in a different city or time zone, so all interaction will take place by phone, email, or videoconferencing. Also, you might find that some resume writers work in their local markets and have offices that you can visit as well. How Long Will You Take to Complete My Resume? Resume writing is a craft, and it is work. Thus, good resume writing takes time. Ask your resume writer about their typical turnaround time, inclusive of their style of information-gathering on the front end and revisions on the back end. If the resume writing firm is guaranteeing an exceptionally fast deadline, you might find few differences between your existing resume and your new resume, and the process might introduce errors into the new document that you now have to manage. However, if your resume writer and you agree on a rush turnaround (possibly at additional cost), learn how a process yielding a faster turnaround will differ from the resume writer’s typical practice. 3. What Is Your Business Model? With Whom Will I Be Working and Who Will Be Writing My Resume? There are several sound business models in the industry that work very well for job seekers. You might find that your resume writer is an independent practitioner, meaning that individual completes all of the work for you, or you might learn that you are exploring working with a resume-writing company that subcontracts with writers who also will work with you one-on-one. A hybrid version between these two business models involves an independent practitioner who provides oversight of subcontract resume writers who complete some aspects of the work, but you deal only with the supervising business owner. All of these business models are common in the industry, and you will need to determine the best fit for your needs. Understand that when you pay a credentialed professional resume writer or resume-writing firm’s business owner, you are directly paying someone’s salary for that project. That expert is rooting for you, will cheer you on, and needs/wants you to succeed—because he or she has real skin in the game and your success truly matters to that person. One additional business model type is the high-volume (and, often, low-cost or low-touch) model that might focus more on speed and output than on service, writing ability, resume-writing technical expertise, industry knowledge, and accuracy. You will have to balance invested time and resources with anticipated output when you select your resume writer. What Is Your Customer Service Policy? Ask how you will engage with your resume writer over time and whether your resume writer will be available to answer questions about your resume project. Ensure that your resume writer provides some system of contact throughout the process, whether by email, text, phone call, or other methodology. This will ensure that you and your resume writer stay in contact directly and that you’re not dealing only with a representative who doesn’t personally perform any of the work . Learn the limits and expectations for these kinds of interactions and the extent to which and how they pertain to revisions once your resume writer sends you drafts of your documents for review. Consider that a resume writer (or resume-writing firm) who allows for minimal to no collaboration with your specific writer is not likely to help you achieve your desired goals for your resume. 4. 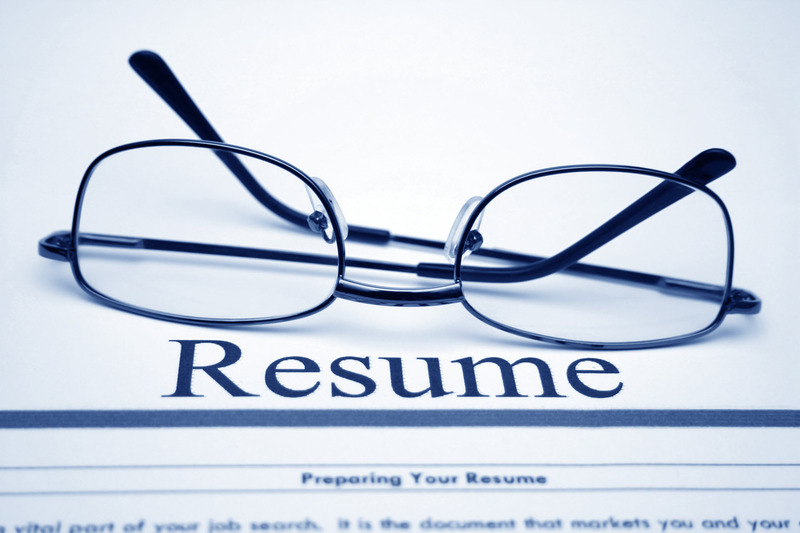 What Is Your Technical Approach to Resume Writing? What Can I Expect My Resume to Look Like? How Do You Choose the Language for My Resume? Canned, tired phrases rarely address your unique selling features. Worse yet, cookie-cutter approaches to resume writing might represent your role inaccurately. Ask your resume writer how he or she will translate your experience into language that appeals to your future hiring team. Do You Know How to Write and Format Resumes for Applicant Tracking Software (ATS) Systems? The application and job search process has changed drastically over the last 20 years due to advances in technology. Many mid-sized and large companies use Applicant Tracking Software (ATS) systems to manage and store applicants’ resumes. A credentialed professional resume-writing expert should have some knowledge and training on how to incorporate the right format, strategy, and keywords into the resume. How Do You Design the Resumes You Write? Resumes can be both useful and beautiful; your resume writer should deliver to you a layout that works for your specific needs and expectations for design and the layout should always support the content of your resume. Resume templates range from standard looks to highly designed and stylized layouts. These standardized templates may look good, but conforming your content to some standard design or approach might not allow you to demonstrate your most impressive accomplishments, skills, qualities, and strengths. These types of standardized templates do not provide a way for your resume writer to easily customize your resume to your specific needs. Highly complex designs might require professional graphic design software (rather than industry-standard word processing programs) for editing. If design is important to you, ask your resume writer about his or her skills in document design and what you can expect for your resume. 5. What Are Your Mutual Goals for Outcomes of the Resume Writing Process? Do You Provide Guarantees? If So, What Types of Guarantees? If a resume writer guarantees that he or she can get you a job, be wary of this promise. Start your resume-writing process with the knowledge that a solid achievement-based resume can open doors, but it’s unlikely that you will get a job based solely on your resume. The job search itself is up to you, as the resume writer has no control over the jobs to which you apply, prevailing market conditions, how well you interview, or the changing needs of any particular hiring manager. 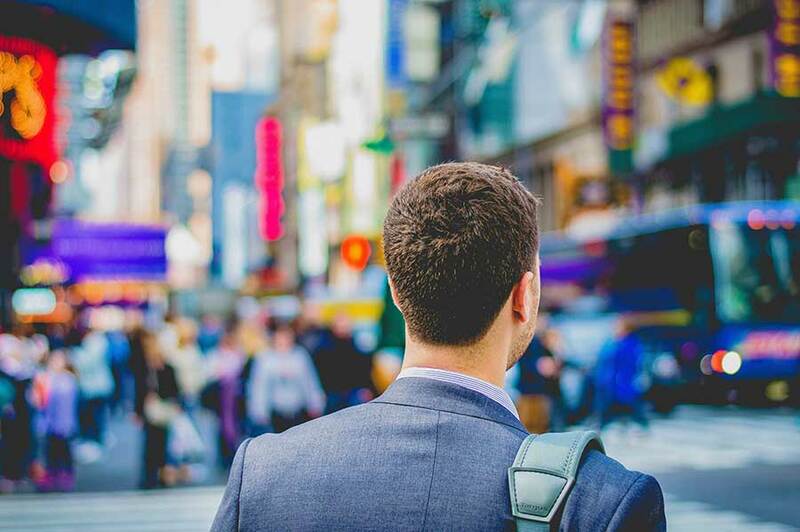 You are the one who needs to sell yourself to the recruiter and the employer and to take responsibility for the overall success of your job search. Other types of contractual guarantees such as those that provide for rewriting or additional coaching if you are not receiving interviews within a certain timeframe might be helpful for your particular job search. Understanding your resume-writer’s processes before you engage will help you see the way he or she expects the project to progress and finish. Ask us your question and it may be selected as the topic of our next blog post, with answers compiled from the advice of NRWA members. If you’re looking for more information on how to write a great resume – or get an expert to help you with yours – you’ve come to the right place! This site was created by the National Resume Writers’ Association (NRWA), a US-based non-profit association with members from around the world who are dedicated to learning about and providing expertise in resume writing to all job seekers. Thanks for checking out ResumeExperts.theNRWA.com!